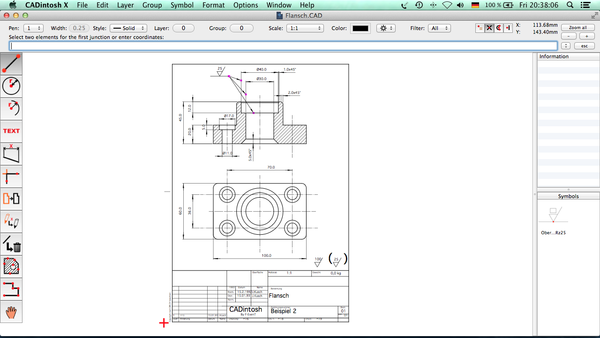 CADintosh X 8.4.3 – 2D-CAD program for technical / architectural drawings. It has a lot of tools like lines, arcs, dimensions, splines, hatching etc. Next story Outline 3.21.4 – View OneNote notebooks. Previous story iCalamus 2.19 – Desktop publishing solution. CorelCAD 2016 16.0.0 – Reasonably-priced CAD solution.